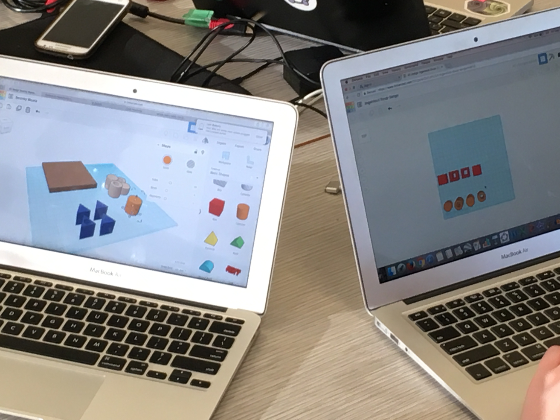 Activity developed with Grade-9 students in Canada combining GeoGebra, Tinkercad and 3D Printer. 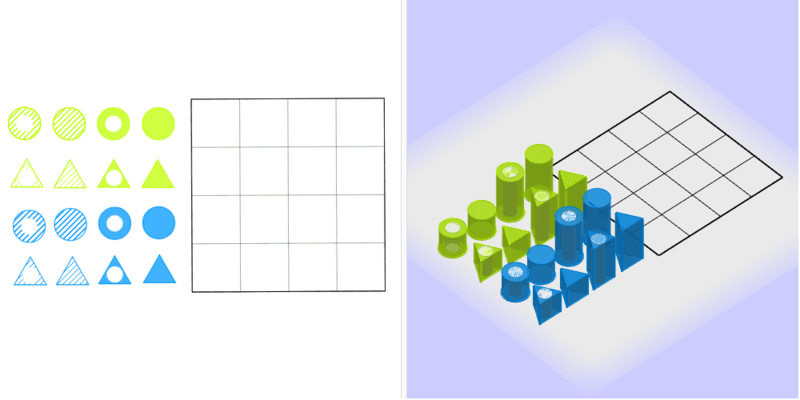 You have to move the pieces in the 2D view. You can see the 3D view under different perspectives just keeping the right button of the mouse clicked. This is a game for two players. 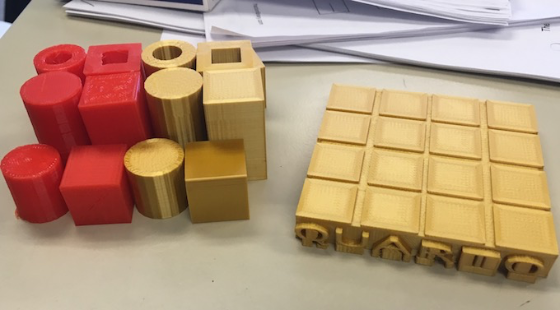 The board has 16 squares (4x4), and the 16 different pieces that can be constructed combining the following four characteristics: SIZE (big/small), COLOUR (green/blue), SHAPE (circle/ triangle) and HOLE (with/ without). Goal: The aim of the game is to complete a line with four pieces that are similar at least about one of the four described characteristics. The line may be vertical, horizontal or diagonal. The winner is the player who first places the fourth piece of the line. 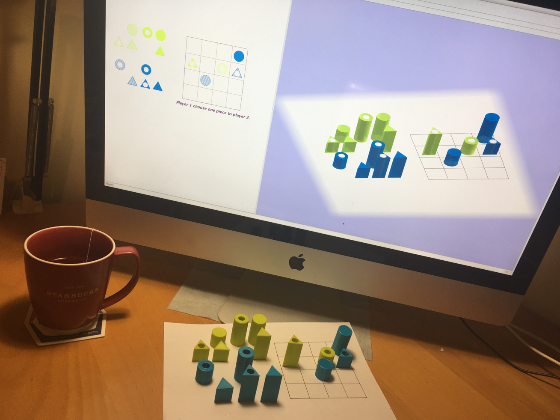 Players move alternatively, placing one piece on the board; once inserted, pieces cannot be moved. 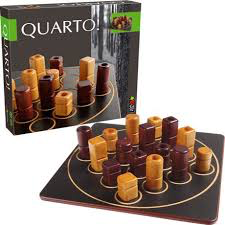 NOTE: One of the more special characteristics of this game is that the choice of the piece to be placed on the board is not made by the same player who places it but the opponent. The game ends in a draw when nobody reaches the objective after placing the 16 pieces. Printing Quarto pieces. Thanks to 4G Vision Tech for all support in printing out such materials.